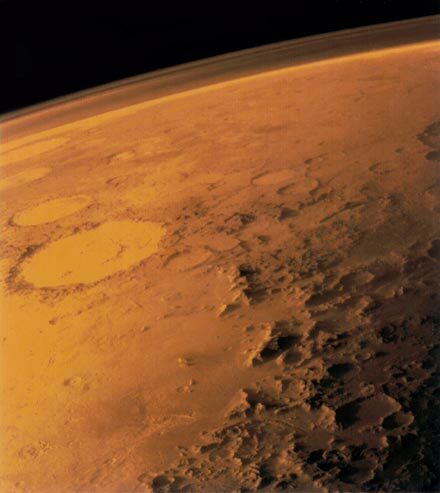 This Viking 1 orbiter image shows the thin atmosphere of Mars. The 2001 Mars Odyssey spacecraft will repeatedly brush the top of the atmosphere to lower and circularize its orbit around Mars. Will it be 'Bolero' or Lucy and Ethel in the Chocolate Factory?